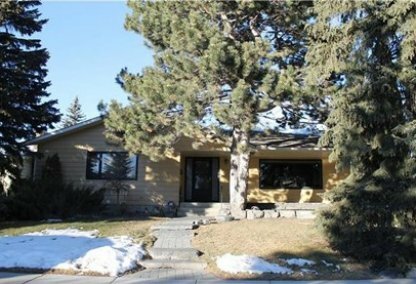 Search Chinook Park homes for sale & just listed real estate in Calgary. Chinook Park is a fresh community of residential houses located just southwest of downtown Calgary. The area is enclosed by Elbow Drive on the east, Glenmore Trail on the north, Heritage Drive on the south, and 14th Street on the west. For information about the newest listings in Chinook Park for sale or to schedule a private home showing, contact your Chinook Park Calgary real estate experts today. Chinook Park housing market statistics: As of April 22, 2019 there are currently 4 properties for sale in Chinook Park listed as active, with an average asking price of $740,725. The highest-priced property is $1,099,000; the lowest priced property can be purchased for $169,000. Chinook Park neighbourhood listings have an average price of $535 per square foot, based on listings with 3.5 bedrooms, 3.0 baths, and 1,414 square feet of living space. Selling or buying a home in Chinook Park Calgary soon? Call Justin Havre at RE/MAX First - 403.217.0003. Our community of Chinook Park real estate agents will help you navigate the Chinook Park housing market in Calgary. The Calgary City Council established the community of Chinook Park in 1959. The neighbourhood is represented by Alderman Brian Pincott, Ward 11. About 18.3% of real estate buildings here are either condominiums or low-rise apartments, and 17.5% of the homes are used for renting. These are the usual housing arrangements in Chinook Park, but there are also classy and outstanding detached single-family residential homes which are ideal for bigger families. According to the City of Calgary's Civic Census survey of 2011 the population in the area is 1,703, with the majority of the population ranging from ages 25-54 years old. Presently, the only available record of income and employment is dated from the year 2006 and is also based on the City of Calgary Civic Census, which presents the annual median household income at $88,785. Low income residents in the neighborhood were surveyed at 5.9% and unemployment rate in the community is at 3.2%. There are two public schools in the neighbourhood, Henry Wise Wood Senior High and the Chinook Park Bilingual Elementary. The Chinook Park neighbourhood is very close to Water and Parkland, Glenmore Reservoir, Heritage Park, and Weaselhead Flats. Home owners in the area enjoy various outdoor recreational activities that include hiking, biking, boating, ferry tours, and more. Thinking of buying or selling a home in Chinook Park? Let our local real estate agents help guide you through the purchase of your next home, or to expertly negotiate the sale of your current home. As local Chaparral Valley real estate agents, we're experts on the market dynamics unique to the Chaparral Valley real estate market. We'll get to work for you today! 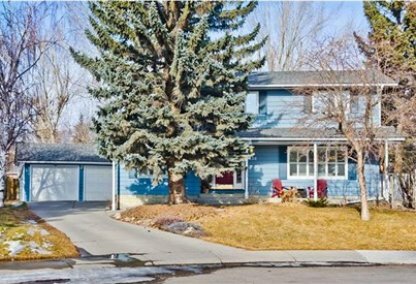 Contact Justin Havre at RE/MAX First - 403.217.0003 to learn more about buyer or seller representation. Planning to sell your Chinook Park home? Check out our free home evaluation, where you can instantly price your Calgary home price your Chinook Park home online, in minutes!